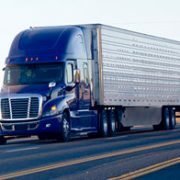 The U.S. Department of Transportation’s Federal Motor Carrier Safety Administration (FMCSA) today released additional online resources for Commercial Driver’s License (CDL) holders, employers, state driver licensing agencies, medical review officers, and substance abuse professionals regarding the upcoming implementation of its CDL Drug and Alcohol Clearinghouse in January 2020. More information available at the FMCSA’s new Drug and Alcohol Clearinghouse resource website. From Connecticut Energy Marketers Association (CEMA). On Monday, March 18, the Environment Committee will hold a public hearing on a bill that would impose a tax on fossil fuels sold in the state: Raised Bill 1064, An Act Establishing a Carbon Price for Fossil Fuels Sold in Connecticut. Heating oil, propane, diesel, gasoline and even natural gas and electricity would all be subject to the tax if it passes. The cost of diesel for trucks will go up 16.8 cents per gallon in the first year, costing about $490 per truck, increasing to about $2000 per truck by 2030. The tax on gasoline will be 14.7 cents per gallon in year one costing you an additional $96.43; 34.3 cents per gallon in year five costing you $225.016, and 58.8 cents per gallon in year 10 costing you $385.73. 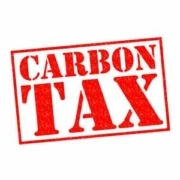 Visit the Stop the Carbon Tax website for more information. Does Connecticut need a transportation authority? As the legislature gets closer to approving tolls, it’s also distancing itself from the process by debating legislation that would create a transportation authority, like the Metropolitan Transportation Authority. Rep. Roland Lemar, D-New Haven, said the bill was added to Monday’s public hearing agenda because Monday was their deadline to have a hearing on proposed bills. 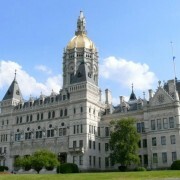 He said the concept is also included in other bills that more directly deal with revenue ideas like tolls to fund improvements to Connecticut’s roads, bridges, and rail. Sculley said if these transportation authorities are so great, then how come none of them have any money? He also asked why the state of Connecticut would want to “abdicate” all its control to an unelected board that’s going to establish tolls on almost every highway in the state? See the complete story from CT News Junkie online. 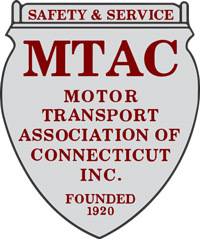 https://mtac.us/wp-content/uploads/2015/04/connecticut-capitol.jpg 533 800 MTAC Staff https://mtac.us/wp-content/uploads/2015/04/mtac-logo-012.png MTAC Staff2019-03-07 15:17:022019-03-07 15:17:02Does Connecticut need a transportation authority? 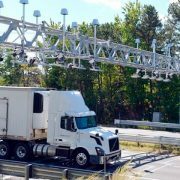 A public hearing Monday on a bill to create a state transportation authority served as a warmup for a much bigger hearing coming this week on the divisive topic of electronic highway tolls. The state’s truckers’ association believes the authority would be a front for tolls. A key legislator said that is not the case. But the battle over tolls is expected to continue Wednesday before a large crowd at the state Capitol when a public hearing is held on the two main toll bills of the legislative session. Sculley said other authorities, like the Metropolitan Transportation Authority in New York, had not set good examples. See the complete article from the Hartford Courant online. Naugatuck businessman John Pruchnicki guesses that highway tolls could cost his petroleum transportation business $200,000 to $300,000 a year. Without an actual tolling plan, he can only ballpark an estimate of how much the fleet of 22 tanker trucks operating out of the Ansonia and Bloomfield terminals of Coastal Carriers of Connecticut would pay. “There are people throwing around all these crazy numbers, but we don’t really know 100 percent,” said Pruchnicki, the president and co-owner of the Ansonia-based trucking company. State lawmakers and Gov. 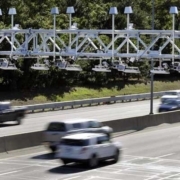 Ned Lamont could finally authorize the state Department of Transportation to develop a full-fledged plan to answer all the lingering questions concerning how an all-electronic tolling system might operate here, including who will pay what. The U.S. Department of Transportation’s Federal Motor Carrier Safety Administration (FMCSA) today announced a final rule streamlining the process and reducing costs to upgrade from a Class B to Class A Commercial Driver’s License (CDL). By adopting a new Class A CDL theory instruction upgrade curriculum, the final rule will save eligible driver trainees and motor carriers $18 million annually. 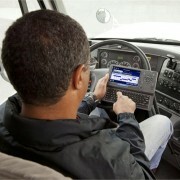 See the complete post from FMCSA online. 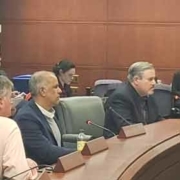 Luis Tejada said, in part, “Since the bulk of our sales involve vehicles over this weight class, all of our current Motor Vehicle transactions must be done in person at any of the Connecticut DMV branches. I can’t tell you the man hours this task requires on a regular basis. MTAC thanks Representative Stephen Meskers (D-Greenwich) for introducing this legislation. This week, MTAC President Joe Sculley testified in opposition to a bill that would require truck-specific GPS devices to be in use on all trucks with a GVWR of more than 10,000 pounds. Sculley’s testimony said the bill was likely introduced in response to trucks driving through no-through truck zones in certain municipalities. He said that MTAC has met with state and local leaders in certain municipalities where violations of no through truck restrictions have occurred. MTAC has urged that local law enforcement (as well as any state enforcement agency with proper jurisdiction) enforce any alleged violation of no through truck restrictions which are authorized by state law. Town leaders have plainly stated to MTAC that they will not do that. Sculley’s testimony said that current laws must be enforced before new laws are made. A PDF copy of the testimony is available online. 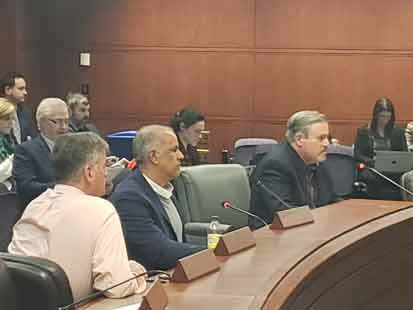 This week, MTAC President Joe Sculley testified in opposition to a bill that would add a $10 surcharge on to the cost of a non-consensual tow. Sculley said that the bill is an attempt to circumvent the regulation of rates for non-consensual tows. He said that the regulation of non-consensual tows is an important aspect of consumer protection for both individuals and small businesses who own and operate vehicles. Without this, wreckers have been known to charge tens of thousands of dollars for non-consensual tows and subsequent storage, although some have referred to these as ransom charges rather than storage charges. It should be noted that this type of situation is sometimes the cause of an abandoned vehicle, whether it be a passenger vehicle, or commercial motor vehicle or commercial trailer. Owners may decide that it is less expensive to just go purchase a new vehicle. Some of the excessive charges that have been seen are driven by an attitude that the insurance company will pay for it, rather than the individual or small business owner. All that this does is drive up the cost of insurance for everybody, regardless of whether or not the policy holder will ever be a part of a non-consensual tow. A PDF copy of the written testimony is available. Connecticut’s trucking industry is cautiously watching a recent slowdown in activity that follows a highly successful 2018, because it could be a harbinger of economic slowdown. Freight hauling, truck orders and trailer orders all declined in November and December. And while January numbers crawled back up just a bit, there’s reason to think about whether those numbers are a sign of a coming recession for the state, said Joe Sculley, president of the Motor Transport Association of Connecticut. Sculley and officials from the American Trucking Associations said the recent performance may be just a moderation of unsustainable 20-year-high numbers over the prior 12 months. But since most consumer products and commercial materials spend a lot of time in trucks, the industry is often seen as an economic indicator. If less goods are being hauled around the country, an economic slump could be ahead. The next few months will tell a lot about the regional economic conditions, Sculley said.